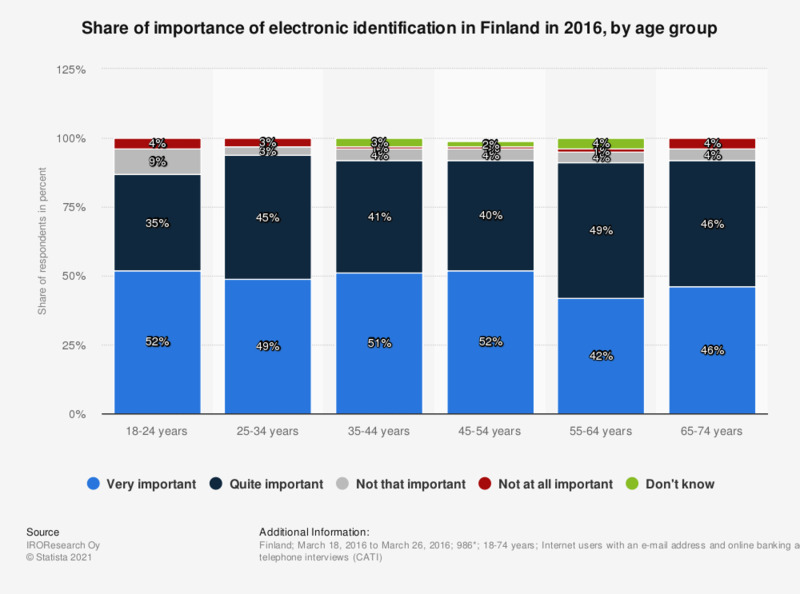 This statistic shows the results of a survey on the importance of electronic identification in Finland in 2016, broken down by age group. During the period under survey, among 55 to 64-year-old respondents the capability of electronic identification was very important to roughly 42 percent. The question was phrased by the source as follows: "How important is it to you to be able to use various services with your electronic identification credentials?" Which attributes do you associate with products made in Finland?